There is something very satisfying about pickling your own food, in a way its more than just cooking you are preserving your food for a later date, natural instinct kicking in. Hand in hand with making your own jams or chutneys – it is just about getting around to doing it. And once you are done the feeling of overwhelming joy and self-satisfaction is hard to beat, every time you open the cupboard and see the lines of jars you feel you should give yourself a pat on the back. But where to get started and what to pickle and when will you use it. The great thing is that when you have made your pickle it will keep for a long time, and as it is something you use a little of you do not have to make vats which makes it pretty quick and easy. And don’t do what we did when we put ourselves off piccalilli – we were making jams and chutneys for a market stall a few years ago and we decided to make the beautiful yellow piccalilli, we thought our recipe to be so delicious we made tons of it, sadly not that much got sold and we were left with an abundance of jars so we ate it with everything – we both now cannot look at the stuff. We love making a pickle to add to a salad or a dish – especially if it is something soft or sweet, for it to cut through with a little sour bite. Pickling does have that vintage feel to it – something that your grandmother did and that you would hide away from as a child, but gosh its useful and fun to play around with different spices and brines. Fermentation is the word of the moment so get going and see what you come up with. 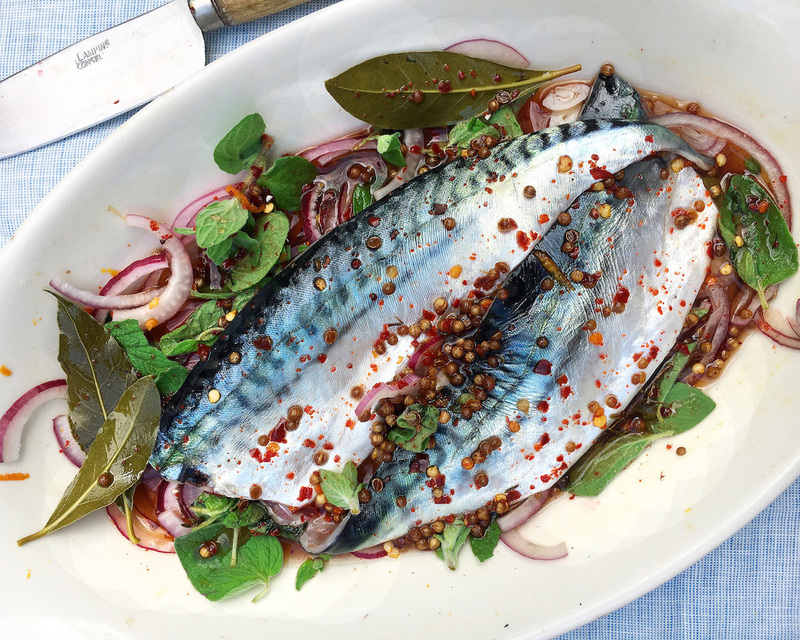 Here we have two pickle recipes that we use a lot, the first is pickled mackerel that we often prepare to keep in the fridge to have as a quick lunch, is very good served with avocado on rye bread as a snack. The second is a pickled jalapeno relish that is super handy.